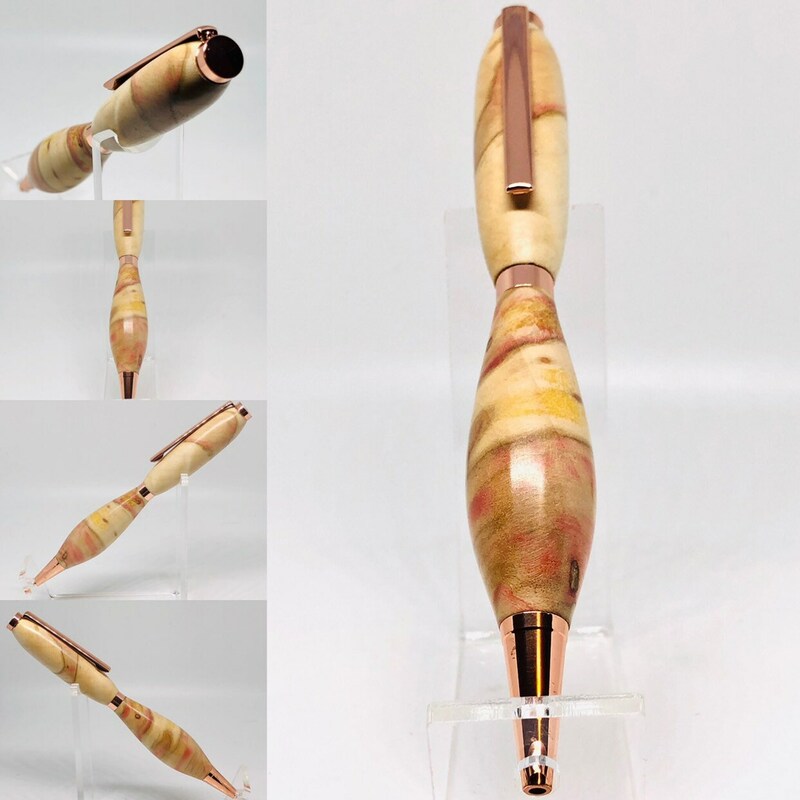 The colors in this box Elder slimline pen are absolutely amazing. 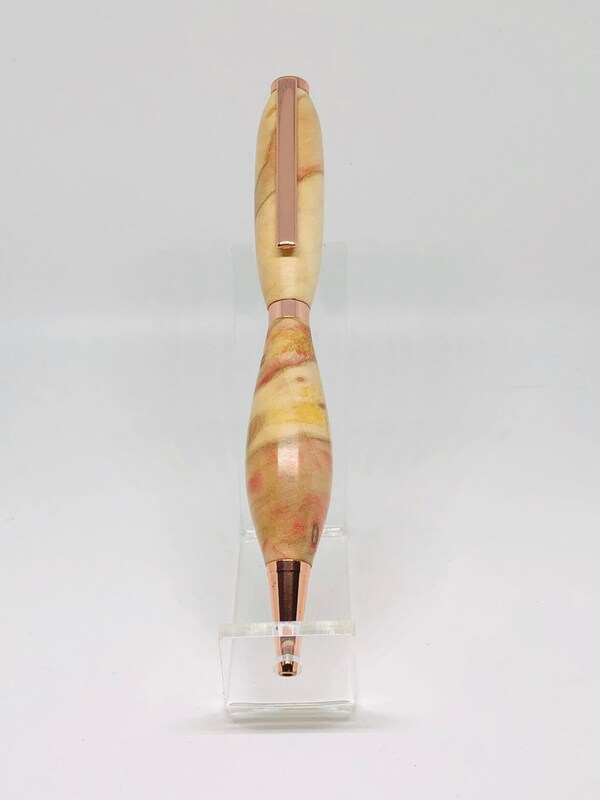 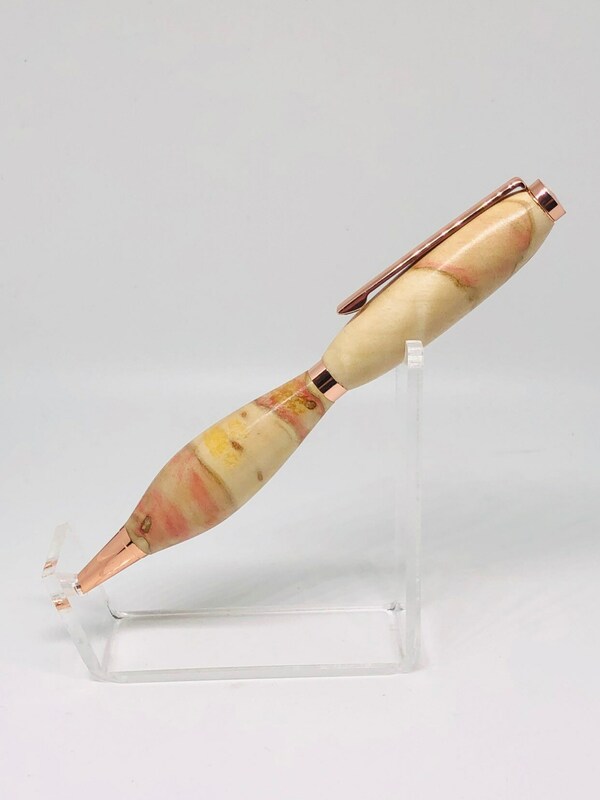 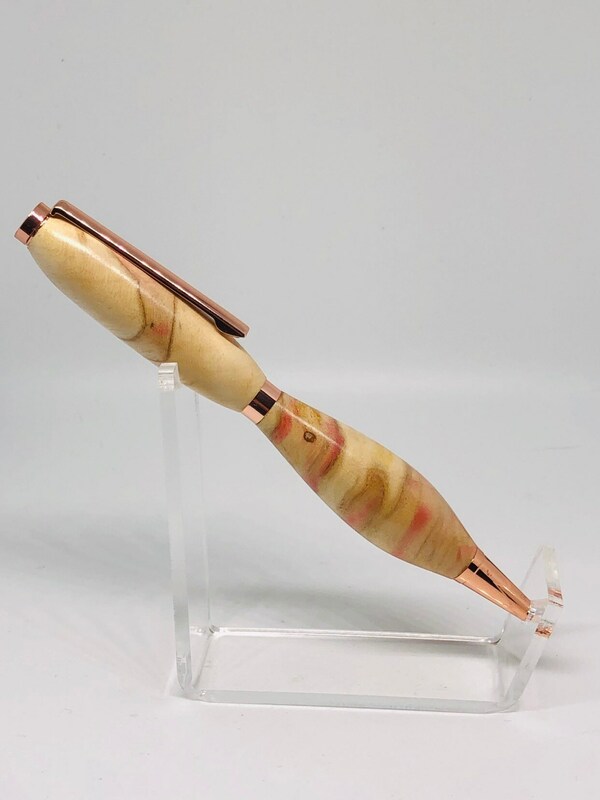 Red, pink, yellow, gold, and cream all blend together to form this stunning one of a kind pen. 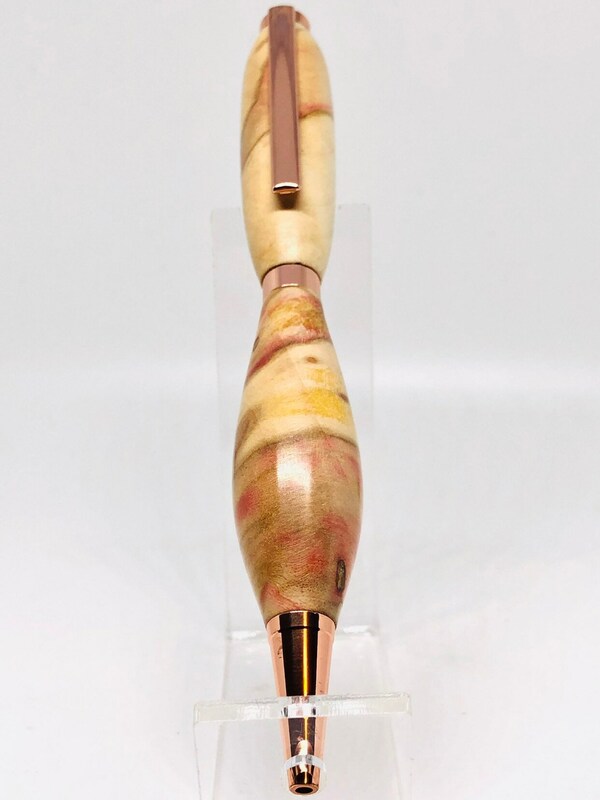 Great gift for everyone and anyone who likes color.